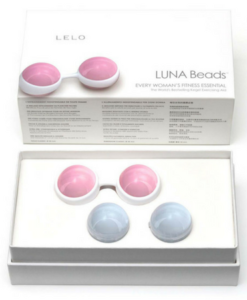 Smart Balls Uno is a premium multi-award winning Kegel ball exerciser ideal for beginners. Smart Balls can be used for pelvic floor training and for feedback about the correctness of pelvic floor exercises. Our Smart Balls are supplied complete with Pelvic Floor Physiotherapist instructions for home training. Manufactured in Germany to the highest standards, Smart balls have received the International Forum award for design excellence. 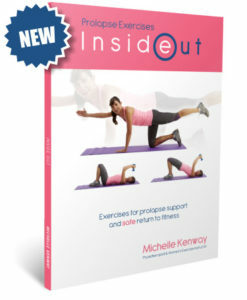 Ideal for women starting out with pelvic floor strength exercises and endorsed by midwives for pelvic floor recovery after recovery from childbirth. Smart Balls single ball exerciser is the only Kegel ball designed for use by women with uterine prolapse as well as retroverted (tilted) uterus. 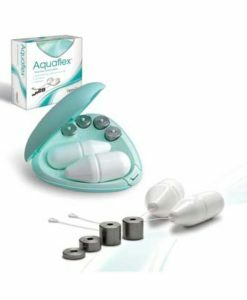 Research shows pelvic floor training is enhanced with weighted vaginal balls promoting longer term bladder control in women with stress urinary incontinence (bladder leakage with effort e.g. cough or sneeze). Upright pelvic floor strengthening is well recognised as promoting improved pelvic floor strength and support. Simply insert Smart ball (similar to inserting a tampon) and commence your exercises. The 36mm Smart balls Uno diameter is well sized to help women retain the ball in position for upright strengthening. 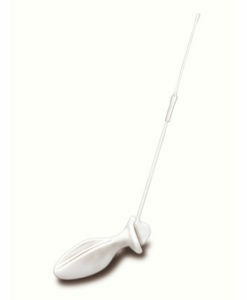 This contrasts with narrow cone designs and smaller vaginal balls which some women find are more difficult to retain, especially with previous natural childbirth. Progress to Smartballs Duo two ball design when you are ready for additional challenge. Smart balls should be used with water-based lubricant only to protect the silicone coating.